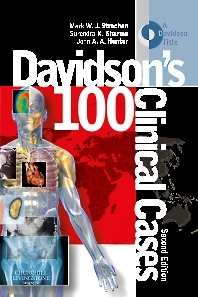 Davidson’s 100 Clinical Cases was awarded First Prize in Medicine in the 2009 British Medical Association Medical Book Awards. This book reflects the real world in which doctors practise medicine. The selection of clinical problems guides the reader, step by step, through the correct path in the maze between the presenting complaint of a patient and the final diagnosis. The text emphasises the value of interpreting available clinical and investigative information in a logical way before considering a definitive diagnosis.